When it comes to roof repairs, having a roofer you can trust is essential to receiving high quality work at a fair rate. In an industry too often associated with scams and undesirable business practices, the Amstill name stands above and beyond other roofing companies. Family owned and operated since 1974, our roofing company is known throughout Katy and the Greater Houston area for our integrity and high quality work. At Amstill Roofing, we stand by our reputation of being Houston’s most trusted roofing company with the best roofers. Every roofer on our roofing contractor team is highly skilled and has experience dealing with all types of roofing problems. Most projects are completed within a day, thus quickly alleviating the stress that comes along with having a damaged roof. Using a thorough and detailed inspection, Amstill accurately pinpoints all issues. In addition, we promise to never suggest any unnecessary repairs. Aside from roofing materials that can last for more than 50 years, such as architectural shingles, roofs usually last about 20 years. Old roof shingles become brittle and weak, and can break or peel off the roof. This in turn leaves the roofing structure prone to more severe problems. It is often easy to tell if a roof is getting too old by looking at the colors of the shingles. 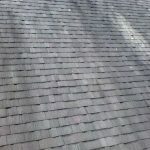 Faded shingles is often a key sign that your shingles need to be replaced. For older roofs, getting a roof replacement is often much easier and cost effective than trying to continually address individual roof repair situations. This is because repairing individual problems with your roof doesn’t change the age of your roof. Therefore, a roof replacement is sometimes the best option. For over four decades, Amstill Roofing has been Houston’s most trusted roofing company, providing excellent work and great customer service. We look forward to providing you the same. Contact us today. With spring just around the corner, in Houston that can mean two things: crawfish season has begun, and the hurricane season is fast approaching! Now, is the perfect time of year to have your roof inspected by our roofing experts, so that your roof will be ready to withstand the unforgiving weather summer brings. As all of us who went through Hurricane Harvey can attest to, Houston’s hurricane season can be a very challenging time. The heavy rains and winds brought by summer storms cause millions in property damages each year. 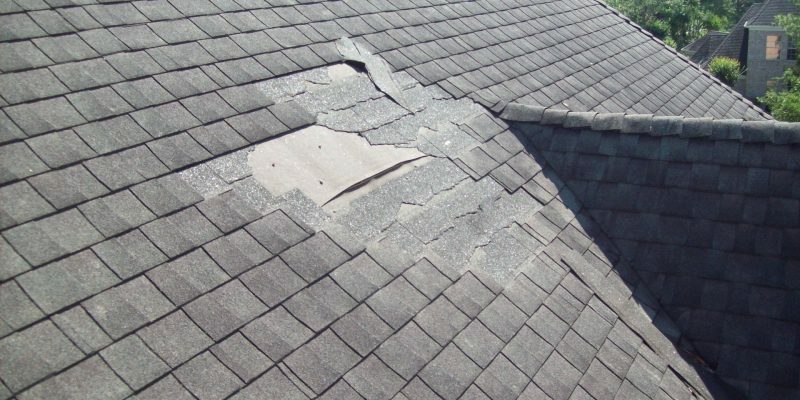 These storms, coupled with the brutal heat and humidity of Houston summers, can wreak havoc on your roof if it is not in proper shape. For instance, after Harvey, millions were spent on storm damage roof replacements alone. 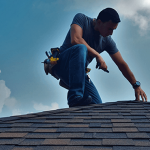 This is why at Amstill Roofing, we recommend twice yearly roof inspections to ensure that your roof is always in the best of shape, ready to withstand Houston’s unpredictable weather. Spring and fall are perfect times of year to have our Houston roofing company inspect your roof. Seasonal inspections allow us to catch problems as they arise, thus saving you money and avoiding expensive repairs in the future. In addition, a well-maintained roof can help with your heating and cooling bills, as a healthy roof keeps your house well insulated. As we all know, the rain in the Southwest Houston area, even out in Katy, Sugarland, Memorial, and the Energy Corridor, can be unforgiving. The last thing you want is for the rain to leak into your home. When your roof is in proper condition, rain water leaking and structural water damage are far less likely to occur. These problems sometimes ruin not only your roof, but also your ceilings and floors inside your home. Whether you live in Katy, Memorial, Sugarland, Energy Corridor, or the Greater Houston area, give us a call so that we can make sure your roof is in the best shape it has ever been. Schedule your spring inspection with our roofing company so that your roof will be ready for the summer! At Amstill Roofing, we recommend getting a free inspection of your roof by one of our expert roofers. Doing so accurately pinpoints the areas of your roof that need repair thus, preventing long-term damages from occurring. There are many other benefits to roof repairs. Let’s take a look at a few of them. Your home is where you invest a great amount of time and money. Therefore, you want your house looking its best. But let’s face it, you can have a beautiful house, but if the roof is damaged or missing shingles, the house automatically becomes less pleasant to look at. Such visible damages are not only unsightly, but also often a sign of a more serious issue. 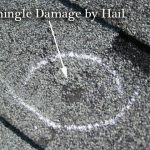 When a roof shows signs of physical damage, it is possible there is internal damage as well. Preventing long-term roofing damage is why our Houston roofing company recommends regular inspections of your roof. If your roof is showing signs of visible damage, we are ready to conduct a free inspection right away. Winter nights in Houston and Katy often require us to turn up the heat in our homes. A little known fact is that the condition of your roof often correlates with the cost of your heating bill. A healthy roof helps insulate your home by keeping the heat enclosed. However, a damaged roof can allow heat to escape, thus costing you a fortune when it comes to heating charges. The best way to ensure you are keeping you and your family warm and not breaking the bank, is to make sure your roof is in healthy condition. If your roof is showing signs of physical wear and tear, or you suspect there may be internal damage as well, contact us today. Serving Katy, Memorial, Energy Corridor, Cypress, or SugarLand, we offer honest and thorough roof services for your home. HOW DO I KNOW IF I NEED A ROOF REPLACEMENT? It is often difficult to determine the overall health of our roofs. While physical signs such as roof leakage or shingle damage are easy to see, there are often less obvious signs that also indicate an unhealthy roof. For instance, an increase in heating bills can often be attributed to a roof in need of repair or replacement. Here at Amstill, our Houston roofing company eliminates all the guesswork. Our highly skilled roofing team performs a free detailed inspection to assess the health of your roof. From there, we determine what your roofing needs are, and come up with an action plan to make sure your roof is in great shape. The average lifespan of most standard roof shingles is around 20 years. However, this number is not exact, and is often affected by a multitude of factors. For instance, the extreme weather here in Houston can immensely affect the lifespan of a roof. Our hot summers can cause major damage, while the fluctuation between warm and cold temperatures in the winter can also be harmful. In addition, Houston is prone to tropical storms and hurricanes that carry strong, powerful winds that can wreak havoc on a roof. The most accurate way to determine the condition of your roof is to schedule a roof inspection with our roofing company. Through this detailed inspection, our experienced roofing team will determine if any damages have occurred. In the event repairs are needed, we will then discuss with you a plan of action, while guiding you through the process. Most of our jobs are completed in just one day, and we would never recommend any unnecessary repairs. To schedule a free inspection to determine the condition of your roof, contact our Houston roofing company today. Family owned and operated, Amstill has been providing high quality roofs to Katy and the Houston Area since 1974. We look forward to providing you with all of your roofing needs! Houston is a city prone to severe weather conditions. From blistering heat, to heavy rainfall, to powerful storm winds, all of these directly impact the overall strength of your roof. Therefore, it is imperative that your roof receives proper maintenance in order to effectively protect your home. Investing in a roof replacement from Amstill is sure to give you peace of mind, knowing that a high-quality roof is protecting your home from Houston’s harsh and unpredictable weather conditions. For over four decades, Amstill has been Houston’s premier roofing company. Utilizing only the best roofing materials from Houston based suppliers, our Houston roofing company guarantees top-notch work and exceptional customer service. While other suppliers often cut corners in a project and carelessly place their materials, we carefully place our materials in properly designated zones. Each one of our projects is treated with extreme care and professionalism. Regardless of which material is used for your roof, whether asphalt shingles or slate, Amstill guarantees the highest quality. 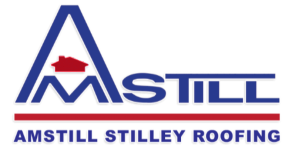 In an industry often associated with a lack of trust and heavy customer dissatisfaction, Amstill stands above and beyond other roofing companies. 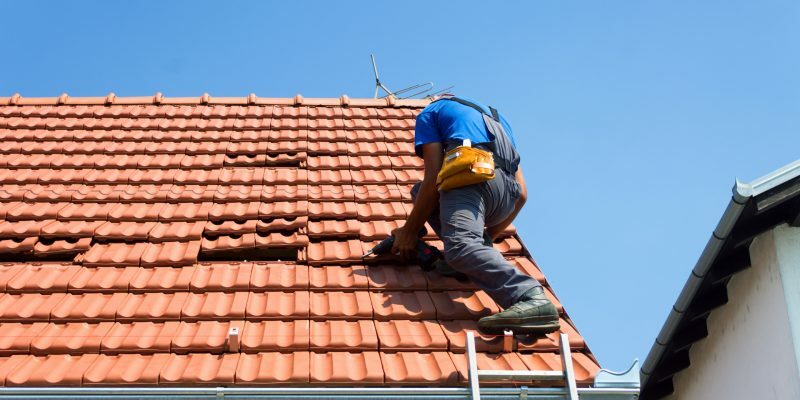 Family owned and operated since 1974, our roofing company is known throughout Houston and the surrounding areas for our integrity and excellent customer service. Most projects are completed within a day, thus alleviating the stresses brought upon by a damaged roof. Using a thorough and detailed inspection, Amstill accurately pinpoints each issue, while promising to never suggest any unnecessary repairs. Whether you’re looking to repair or replace your roof, our team of skilled roofers is sure to meet all of your needs. If you’re in Katy, Sugarland, Cypress, or the Energy Corridor, contact us today to schedule an inspection. When most Houston area homeowners think about storm damage to their roof, they worry about hurricane season. While these devastating storms are definitely the biggest threat to your roof, smaller storms are still able to carry out damage. 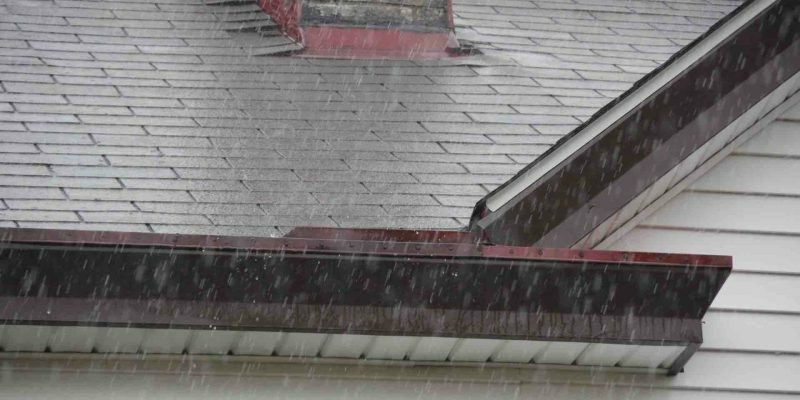 With all the rain and wind we have been seeing in the past few months, it may be time for your next roof inspection. Ensure your roof suffers no more damage with roofing inspections and repairs by Amstill roofing. 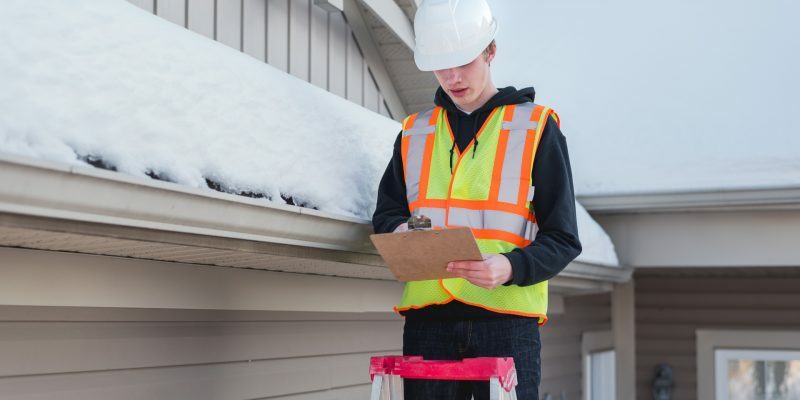 When was the last time your roof was inspected? If the answer is “a while ago” or “I don’t know” give our Houston roofing team a call today. We often think of storm damage as roofs being ripped apart, or wind tearing away at shingles. This isn’t always the case. 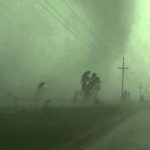 Smaller storms can cause damage that isn’t always seen from the ground. A few loose or damaged shingles may not seem like a big deal, however they open your home up to further damage in the future. 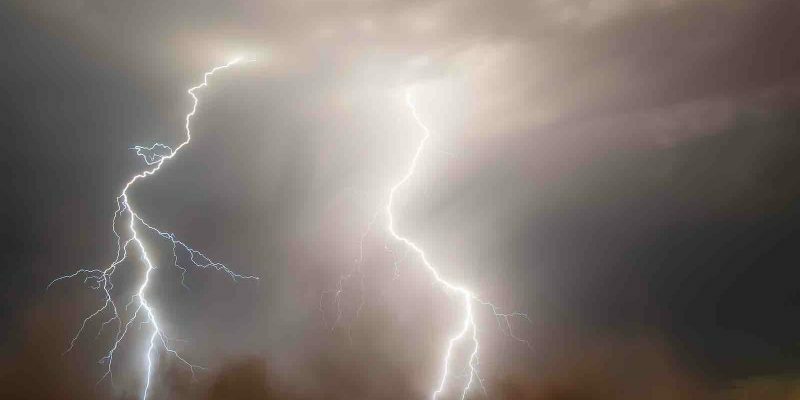 As temperatures fluctuate and more storms and rain roll in, this minor damage could spell major trouble for your home. If you want to avoid expensive major repairs, schedule your roof inspections right away. If your roof inspection shows damage to your roof, it is important to get it repaired immediately. Regular small repairs are highly beneficial to your roof. Not only do they protect your roof from further damage, but they can help prolong the lifespan of your roof. A well-maintained roof is more able to withstand oncoming storms, and holds up better to other aging factors such as temperature fluctuations. In the end, it is much more cost effective to continually tune up minor damages than it is to fix major problems, or repair the roof all together. Our inspections are free to homeowners in the Katy, Memorial, Energy Corridor, SugarLand, and surrounding areas. We want to ensure that you are getting the most out of your roof. If it has been more than one year since your last roof inspection, give our team a call today. We look forward to providing you with a strong roof this year and every year. How long has it been since your last roof inspection? If it has been more than 6 months since an expert last looked at your roof, it may be time. Let our expert team here at Amstill make the process easy with our free, honest roof inspections in Katy and the surrounding areas. Each member of our roofing repair team is highly certified in the industry, and able to detect small problems that others may miss. Finding an easy solution to these small problems means a quicker repair process for you. It also reduces the need for major repairs significantly. Don’t let your roof damage spiral, give our team a call today. Whether you are in Katy, Memorial, Energy Corridor, Cypress, or SugarLand, we offer honest and thorough roof inspections for your home. We guarantee to all our homeowners a truthful report every time. We never recommend unnecessary repairs or overcharge for our services. Don’t let shady roofing companies take advantage of you, trust the best roofing team in Southwest Houston to take care of your roofing needs. Not only do we offer free roofing inspections, but almost all repairs will be completed in just one day. Our one day service allows homeowners to spend as little time as possible with their home under repair. We know that roof repairs can sometimes feel inconvenient, which is why we guarantee efficient service without cutting corners. This ensures an easy and enjoyable process for everyone. If you are unsure of the last time you had a roof inspection, schedule yours today. Our professional team of roofers is here to ensure your roof is well-maintained, and doing its job of protecting your home. Give us a call today to set up your free roof inspection with Amstill Roofing. How do home owners know when it is time for a roof replacement? The number is not exact and can be effected by many factors. Most standard shingles lifespan is around 20 years. Depending upon your location, certain factors can shorten the lifespan of your shingles. For example, temperature swings of a Houston winter can speed up the aging of your roof. 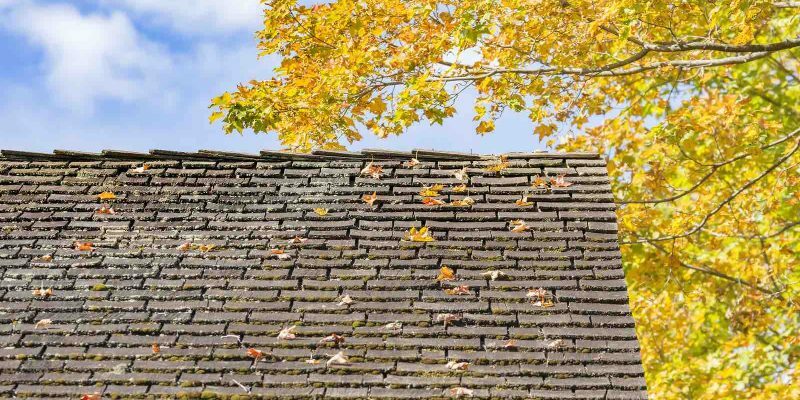 Even something as simple as having acorns or twigs fall on your roof can cause damage that adds up. HOW CAN I KNOW IT IS TIME FOR A ROOF REPLACEMENT? A roof inspection by our team of professionals is the best way to determine the health of your roof. If any damage is detected, we will be able to determine the repairs required, if any. Almost all of our jobs are completed in just one day. This means less time under construction, and more time enjoying your new roof. Keeping the process simple is what we do. Is the roof on your Memorial home showing its age? Often small changes that happen over a long period of time go the most unnoticed. It could be a bit of sagging here, some discoloration there, perhaps even a missing shingle. If you notice these changes in conjunction with higher electric bills, it could be a sign that your roof is due for replacement. Luckily, we offer a free inspections for your home. After your inspection we can create a plan of action to make sure your roof is in great shape this holiday season. Trust our family owned and operated roofing company for your next Memorial roofing project. If you’re not in Memorial, we operate all around the West Houston Area from Memorial, to Energy Corridor, Cypress, even SugarLand. We look forward to getting your home up to speed, and providing you with a quality roof you can enjoy for years to come. Give us a call today. Your roof needs regular maintenance like anything else in life. From mild storms, to summer deluges, to hurricanes, everything wears on your roof. Ignoring it is like ignoring the ‘change oil’ light in your car. You can skate by for a while, but eventually, you’ll end up with thousands of dollars of repairs on your plate and time eaten up from your schedule. Don’t reach that point. Whether you’re in Katy, Sugarland, Cypress, or Energy Corridor, invest in a quality roof replacement from our team here at Amstill. Since 1974 Amstill utilizes the best materials for the job. Using Houston based suppliers, we can guarantee the product will be treated properly and with respect. Where sub-par suppliers may callously place materials in the project area, ours are placed with care in carefully designated zones. Your projects will be cared for with the utmost professionalism through every phase. Whether you are using asphalt shingles, or upgrading to slate, you can guarantee the highest quality from our Houston based roofing team. If you have been burned by roof repairs done by sketchy roofing companies, trust Amstill. Our family owned and operated roofing company is known around the Houston Area for our excellent customer service. All but the most complicated of jobs are completed in less than one day. This means less time struggling with the consequences of a damaged roof. Each inspection we do is detailed, and we promise to never recommend a repair your home does not need. If your roof is at risk of continuing damage, give us a call today. Our skilled team of roofers come highly recommended across Google Reviews, Angies List, Facebook, and more. Find out what makes Amstill different, schedule your inspection now.